It isn’t just a few months the 2018 Subaru WRX/STI sales have been down. It’s been a downward trend for the WRX and WRX STI since June of 2017. It’s now been 2/3 of a year of going backwards for the sport-tuned 2018 Subaru WRX and performance-tuned WRX STI sedans. The 2018 Subaru WRX/STI finished the year in December down -5.8 percent and -17.5 YTD, November saw a -8.8 slide, -6.3 percent in October, -11.5 percent in September, they saw their biggest drop in August, down 20.9 percent for the month (likely due to the 2017-2018 model change), and sales of the WRX/STI were also down 10.8 percent in July and slipped 15.2 percent in June, 2017. Now the 2018 Subaru WRX/STI starts the new year down again over the same time period last year. The WRX/STI is down a combined 10.4 percent over January, 2017. That makes eight straight months the performance sedans have slid backwards. 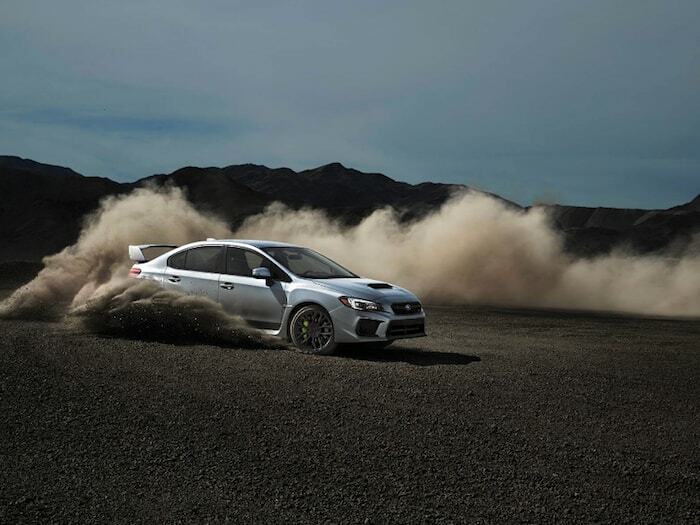 Canada bucks the trend where the WRX STI saw a sales increase of 14.1 percent compared to the previous January. Even thought the 2018 WRX and WRX STI saw significant upgrades, its hasn’t been enough to draw in more new buyers to the brand’s performance sedans. You would think Subaru would be worried, but they likely aren’t all that concerned. The WRX/STI accounts for less than 5 percent (4.8 percent) of their total U.S. sales. The majority of their sales come from Outback, Forester and Crosstrek. Subaru knows the performance brand is still popular with their fans, and total U.S. sales of 31,358 units sold in 2017 is fine with the Japanese automaker. Don’t take it personal performance fas, but Subaru is spending the majority of their resources on all-wheel-drive SUVs, crossovers and the all-new 3-Row Ascent family hauler expected to be a big hit in North America that could at least triple WRX/STI sales in its first year. Their other performance model, 2018 Subaru BRZ, was up 15.2 percent in January in the U.S., and Subaru has confirmed BRZ will see a second-generation model along with it’s twin, Toyota 86. The remodel will come in 2020 and it will be the next-to-last Subaru model to get the new SGP. Subaru needs a more aggressive exterior design change, a new updated FA20 DIT boxer power plant and a new 5-Door hatch body style (neither has been confirmed by Subaru) in the WRX STI to get enthusiasts back to the showrooms, but it won’t be coming anytime soon. The sport-tuned 2018 Subaru WRX and performance-tuned WRX STI sedans will have to wait for the Outback, Forester and Legacy to get the new Subaru architecture and then it will be next to get a complete overhaul which will generate more fan interest when they arrive sometime in 2020-2021. Next up for the 2018 Subaru WRX STI is a limited edition WRX STI Type RA (500 units), and 50th anniversary 2018 Subaru WRX/STI models with WRX getting 600 Limited trims, while WRX STI Limited will see only 200 examples produced. These anniversary models will be unveiled at the Chicago Auto Show. Stay tuned.